From the classrooms of Castleton University to the halls of Vermont Law School, alumni Gabrielle Tamasi has worked her way to the position of Policy and Implementation Analyst for the Vermont Department of Corrections that she holds today. Tamasi graduated from Castleton in 2012 with a degree in Philosophy and the drive to attend the South Royalton based law school. Knowing this progression in her academic future, she used it to shape her college experience. 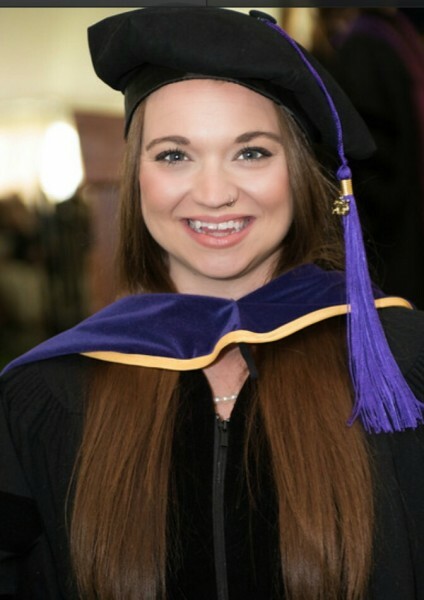 Tamasi carefully chose classes and a major that would best prepare her for the rigorous learning environment of the Vermont Law School where she earned a J.D. and Certificate in Alternative Dispute Resolution in 2015. “Once I made the decision to attend law school my sophomore year, I was very conscious moving forward to take classes that would build a foundation for law school,” said Tamasi. Tamasi joined the Philosophy program where Professor Robert Johnson was by her side guiding her and recommending classes such as Logic, Introduction to Ethics, History of Philosophy, and Critical Thinking. Professor Johnson pointed her in the direction of certain LSAT prep material that would further increase her chances of success in her desired field of study. “I have no regrets about my law school journey because it helped prepare me for the application process in competitive fields, such as state government” said Tamasi, who is currently working to update Vermont Correction's internal policy with a focus on lowering rates of recidivism. Tamasi was happy to hear that Castleton faulty and staff recognized the needs of students interested in law and have worked to bring resources and a network of support on campus to students. “Castleton is now able to offer the resources students need to be as successful as possible during the years leading up to law school” said Tamasi. The choice and adjustment to Vermont Law School was natural and easy for the New London, New Hampshire native who loved the Castleton atmosphere. “The small town feeling was comforting while being far enough away from home to grow and feel independent,” said Tamasi, noting that other law schools in bigger cities such as the New York Law School in Manhattan and Albany Law School wouldn't give her the same home-town feel. To current and future Castleton students the successful alumni want to remind all those working for what they want that there is always a way to achieve your goals.